The following text is the revised and expanded version of a lecture presented in The Royal Society in London (1st March 2007) at the meeting of the Muslim Heritage Awareness Group (MHAG). Figure 1: Eilhard Wiedemann (1852-1928), Professor of Physics at Erlangen University in Germany and pioneer historian of Arabic physics and technology. See: Literatur von und über Eilhard Wiedemann in the Catalogue of the Deutschen Nationalbibliothek. I am so glad and honored to be among you in this meeting and to address your venerable assembly as a new member of the Foundation for Science, Technology and Civilisation in Manchester, an institution with which I share the approach and the method in disseminating knowledge about Muslim scientific and technological achievements. The history of Islamic science has undergone great progress in the last three decades. The field has been almost completely rewritten. A great deal of work has been done in the study of Islamic technology and engineering. In this field, two main series of contributions must be mentioned: the work of the German school – mainly by Eilhard Wiedemann and his collaborators in the first quarter of the 20th century, and the research conducted by Donald Hill, Ahmad Yûsuf al-Hassan and their collaborators in the last quarter of the 20th century. Figure 2b: Front cover of Islamic Technology: An Illustrated History by A.Y. Al-Hassan and D.R. Hill (Cambridge University Press, 1986). These two phases of scholarship established an inventory of the available knowledge and highlighted important aspects of the Muslim contribution to practical mechanics and engineering. Hence, significative texts were edited and translated, mainly the treatises of machines by Banū Mūsā, al-Jazarī and Taqī al-Dīn Ibn Ma'rūf. The book Islamic Technology by Hill and al-Hassan, published in 1986, produced a comprehensive survey of the field that showed the richness of Islamic technology and its various social and economic dimensions. Figure 2: Recent milestones in the study of Islamic technology and engineering: front covers of the edition and translation of the treatises of mechanics of Banū Mūsā and Al-Jazarī by Donald R. Hill, Ahmad Y. Al-Hassan and their collaborators. In theoretical mechanics, a main contribution is represented by the reconstruction of the corpus of the Arabic ‘ilm al-athqāl or the science of weights, a field touched upon previously by scholars in a very limited way but of which the scope remained uncovered. In the late 1990s, I had the privilege and honour to design an overall project of research to reconstruct the textual corpus of the Arabic science of weights. This project was supported by the Max Planck Institute for the History of Science in Berlin with which I collaborated for several years. The first outcome of this research project stressed on one hand the Arabic transformation of Greek mechanics into an independent theoretical branch, and on the other hand made clear that the history of medieval mechanics is an intercultural history in which many common features shape both the Arabic ‘ilm al-athqāl and the Latin scientia de ponderibus. As my work has proven, the latter rose in Europe from the 13th century onwards in the works attributed to Jordanus and was at least partially a direct outcome of the translation of Arabic mechanical materials [for references, see the extensive bibliography appended below]. Figure 3a: Colorful diagram of mīzān al-hikma (the balance of wisdom) designed by Al-Isfizārī and Al-Khāzinī and described in detail by Al-Khāzinī in Kitāb mīzān al-hikma (515 H). This image was displayed in 2001 by Sam Fogg (www.samfogg.com) as part of an original manuscript that was being exhibited among its holdings. Since then, this manuscript is referred to among the holdings of the University of Pennsylvania: Lawrence J. Schoenberg Database of Manuscripts, MS LJS 386. 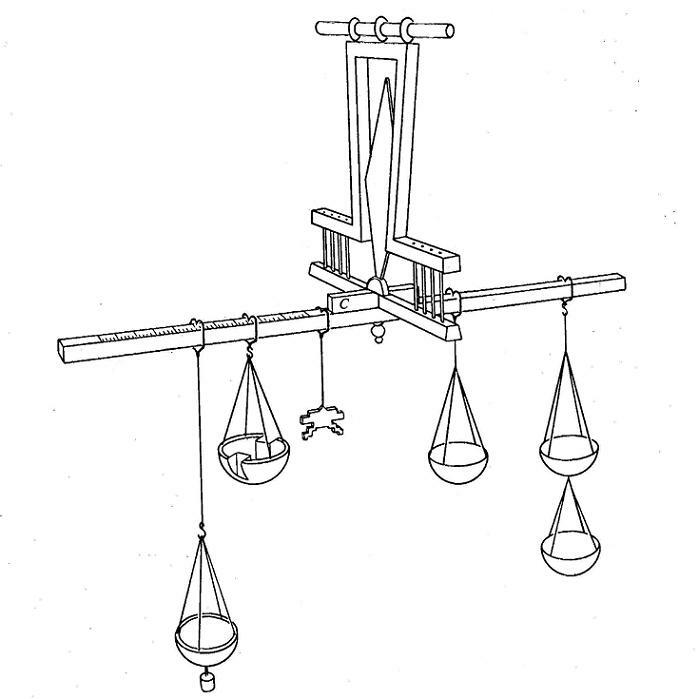 Figure 3b: Diagram of the balance of wisdom drawn by H. Bauereiss in his dissertation under the direction of E. Wiedeman: Zur Geschichte des spezifischen Gewichtes im Altertum und Mittelalter. Erlangen, 1914, p. 31. Figure 3c-d: Two views of the balance of wisdom as reconstructed by H. Bauereiss and F. Keller (1908-1911), rediscovered by M. Abattouy in the Deutsches Museum in Munich in 2002 (item invent. Nr. 31116). © Max Planck Institut für Wissenschaftgeschichte, 2002. In this respect, let me point out that among representative instruments relevant to the research on the science of weights are two Islamic steelyard balances kept in the Science Museum in London. The largest one has a wrought-iron beam of 2.37m long that can weigh until 1820 pounds. The smaller one is a medium balance of about 1.30m. Figure 4: Arabic steelyard (10th century) kept in the Science Museum in London (accession number Inv. 1935-457). A scale of silver is inlaid along its 2.37m long, wrought-iron beam. It bears two suspending elements, and corresponding calibrations: one ranging from zero to 900 ratl-s ; the other ranging from 900 to 1820 ratl-s (1 ratl ≈ 1 pound). © The Science Museum, London. Figure 5: Intercultural history of theoretical mechanics: Greek-Arabic-Latin. The outstanding and unprecedented work done by Professor Salim al-Hassani and the FSTC on Al-Jazarī's machines yielded a new approach to the historical objects by reconstructing animated models of them so that we see the machines in action and understand their principles and functions. This approach was applied to the famous pump for raising water of Al-Jazarī and explained the transmission of force on the basis of the conversion of circular motion in rectilinear displacement, a discovery that has been credited for decades to Leonardo da Vinci, but which was performed by al-Jazarī three centuries earlier. This approach may be applied to a large variety of machines and will show the same efficiency. Indeed, when we see the machine working on the animation, it is hard to say, as some historians did, that the machines described in Arabic mechanical treatises were just toys or imaginary devices. Nevertheless, despite the progress that I have just outlined rapidly, the field of Islamic science as an academic discipline seems to get winded on the institutional level and suffers from a real isolation in the academic world and among the general public. Besides general reasons linked to cultural remains, one of the reasons of this deplorable situation is to be found in the inflation of textual and philological concerns, and the isolation of science from the spiritual, cultural, and material components of Islamic civilisation. In this respect, it is not by chance if the sociological analysis of Islamic science is yet almost inexistent even though a very large amount of original texts and critical literature is available since several decades. Given this situation, I think it is time to open a new phase in the history of Islamic science and technology, by putting the focus on the interconnected fields of mechanics, technology and engineering with the ambition to stress the scientific and technological dimensions of the material culture of the Islamic civilisation, especially in what concerns objects, artifacts, machines and instruments, whether this analysis concerns instruments already scrutinized by historians or those still to be investigated. It is not easy to outline a detailed program of research in such a limited time. Therefore I mention just a short insight of what we might do together through the cooperation that I enjoy with my colleagues in the FSTC in order to contribute to the renewal of our knowledge of the contribution of Islamic civilization to the exciting and successful human adventure of science and technology. 1. To reconstruct the history of mechanics, technology and engineering in the classical civilisation of Islam in a global approach including the Islamic West. A lot of information is already available but it still needs to be organized and systematized. In this respect, special attention should be paid to the real extent the influence of the Islamic technology had upon medieval and pre-modern Europe. This decisive influence is proven in science (mathematics, astronomy, optics), but in technology we don't as yet know precisely if and how something similar had occurred. For instance, as far as we know, no Latin translation of Al-Jazarī's text was performed, but the knowledge of Arabic in Europe until the 17th century was far more developed than what we may think now. Given the wide circulation of Al-Jazarī's treatise in the Islamic world, as it is proven by the numerous existing manuscripts that were preserved, we shouldn't discard the very plausible hypothesis that the text attracted the attention of European travelers in the 15th or 16th centuries and was brought to Europe. A systematic research in the European archives, especially in Italy, may yield a great surprise in this respect. Figure 6a: A sophisticated water raising machine of Al-Jazarī, from manuscript to virtual reconstruction: see Salim Al-Hassani et al. (2008), Al-Jazari's Third Water-Raising Device. © FSTC and www.MuslimHeritage.com. Figure 6b: The six-cylinder water pump of Taqī al-Dīn Ibn Ma'rūf: manuscript drawing and virtual design. See : The Six-Cylinder Water Pump of Taqi al-Din by Salim Al-Hassani et al. (2008). © FSTC and www.MuslimHeritage.com. On the other hand, special interest will be devoted to the work the 11th century Andalusian ‘Alī Ibn Khalaf al-Murādī, author of the unique technological manuscript we received from the brilliant Andalusian tradition. The text is entitled Kitāb al-asrār fī natā'ij al-afkār; it is preserved in the Codex Medicea-Laurenziana Or. 152, Florence, Italy. It was copied and used at the court of Alphonse VI in Christian Spain in the 14th century, where Arabs, Jews and Christian scholars worked together for decades. Even if the manuscript is presently in a bad material shape, it deserves close scrutiny and should be checked carefully. Only one of its machines was described by Spanish scholars led by Juan Vernet; the rest will certainly repay investigation. Figure 7: Two pages from the MS of al-Murādī's treatise Kitāb al-asrār fī natā'ij al-afkār preserved in the Codex Or. 152 preserved in the Library Medicea-Laurenziana, Florence, Italy. Figure 8: Two views from the graphical reconstruction of al-Murādī's clock by Spanish scholars: see J. Vernet, R. Casals and V.M. Villuendas, Awraq (Madrid ), no. 5-6, 1982-83. Figure 9: Original drawing of a clock from al-Murādī's manuscript and its reconstruction by J. Vernet, R. Casals and V.M. Villuendas. 2. The second mission regards research related to the restoration of machines and technological remains, in order to show that these were not just toys or ornaments, but real machines that worked at their time and were identical to the historical descriptions we have in the sources where they were described. Examples here are numerous. The most significant of them are several clocks disseminated around the Islamic world, from Damascus in Syria to Fez in Morocco. Some of these machines are the oldest of their kind in the world, like the Bouanania clock in Fez, and should be taken care of not only by Muslims but by humanity at large. The restoration of these jewels of ancient technology will not only make them live again, in their original milieu, but will also produce a tremendous cultural and symbolic impact on the people living in their vicinity. 3. The third aspect of our collaboration regards the reinforcement of the use of the internet as a media to popularise the results of professional research and to introduce the debate on Islamic science and technology in education, mass media and culture. This means that we continue our policy of putting different materials on the internet and to improve it by providing free access to more sophisticated materials such as original and translated texts, virtual museums, pictures and video presentations. The aim is to attain a critical mass of materials in order to make the presence of Islamic science on electronic media effective and not just symbolic. In this respect, a special attention should be devoted to building a digital library of scientific and technological texts, with the tools available now to the last generation of data bases, like a technical dictionary, powerful search facilities, analytic short articles, appropriate links to the existing materials on the net, etc. The work in this field has begun several years ago and the websites of the FSTC are massively visited every day. Our common ambition is to enlarge the community that benefits from the work done so far and gain new visitors, like the scholars and experts who, for the most, work as individuals or in small groups, and receive little feedback on their academic work. Figure 10: Scheme of the program "Electronic Media at the service of Muslim Heritage". The new methodological shift to orient the history of Muslim science and technological heritage will certainly correct the philological and textual inflation that marked the history of Islamic science as a discipline and turned it out as a narrow domain of research for scholars cut from other parts of historical knowledge and from present day life. On another level, we should think also of the way to promote Muslim heritage and popularize it in the Arab and Muslim world. I am attempting this in Morocco, where the young people and students have a great thirst to learn and are highly receptive. Within our collaboration and with the conjunction of our efforts, I am sure we will achieve great results. Click here to view the next page of References and further readings. Abattouy, Mohammed 1997. Arabic Tradition of Mechanics and Engineering: General Survey and Prospects for Future Research. Berlin: Max Planck Institut für Wissenschaftsgeschichte, Preprint no. 76. Abattouy, M. 1999. "The Arabic Tradition of Mechanics: Textual and Historical Characterization." Review of the Faculty of Letters and Humanities in Fez (Fez), vol. 12, pp. 75-109. Abattouy, M. 2000. "La tradition arabe de la balance: Thābit Ibn Qurra et al-Khāzinī". In: Jawanib min tatawur al-afkar al-'ilmiya hata 'l-'asr al-wasit. Rabat, pp. 49-61 (French section). Abattouy, M. 2000. "Al-Muzaffar al-Isfizari 'alim mikaniki min al-qarnayn 5-6 H (11-12 CE) mu'allif Irshad dhawi al-irfan ila sina'at al-qaffan". In: Jawanib min tatawur al-afkar al-'ilmiya hata 'l-'asr al-wasit. Rabat, pp. 135-175 (Arabic section). Abattouy, M. 2000. "Sur quelques démonstrations grecques et arabes de la loi du levier: transmission et transformation". In: Aliyat al-istidlal fi 'l-'ilm. Rabat, pp. 7-43 (French section). Abattouy, M. 2000. 2000. "Mechane vs. hiyal: Essai d'analyse sémantique et conceptuelle." In: Al-khayal wa dawruhu fi taqaddum al-ma'rifa al-'ilmiya. Rabat, pp. 127-151. Published in Berlin: Max Planck Institut für Wissenschatsgeschichte, 2000, Preprint no. 152. Abattouy, M. 2001. "Nutaf min al-hiyal: An Arabic Partial Version of Pseudo-Aristotle's Problemata mechanica." Early Science and Medicine (Brill) vol. 6: pp. 96-122. Abattouy, M. 2001. "Greek Mechanics in Arabic Context: Thābit Ibn Qurra, al-Isfizārī and the Arabic Traditions of Aristotelian and Euclidean Mechanics". Science in Context (Cambridge University Press) vol. 14: pp. 179-247. Abattouy, M. 2002. "The Arabic Science of Weights: A Report on an Ongoing Research Project." BRIIFS vol. 4, no. 1: pp. 109-130. Abattouy, M. 2002. "The Aristotelian Foundations of Arabic Mechanics: From the Ninth to the Twelfth Century." In The Dynamics of Aristotelian Natural Philosophy from Antiquity to the Seventeenth Century. Edited by C. Leijenhorst, C. Lüthy and H. Thijssen. (Medieval and Early Modern Science, vol. 5). Leiden: Brill, pp. 109-140. [Published in Berlin: Max Planck Institut für Wissenschatsgeschichte, Preprint no. 195, 2002]. Abattouy, M. 2003. "'Ulum al-mikanika fi al-gharb al-islami al-wasit: dirasa awwaliya". Al-fikr al-ilmi al-'l-Maghrib. Rabat, pp. 91-121. Abattouy, M. 2004. "Al-Khāzinī." In: Lexikon bedeutender naturwissenschaftler. Heidelberg-Berlin: Spektrum Academischer Verlag, vol. 2, pp. 310-311. Abattouy, M. 2004. "Science des poids et hisba: Prolégomènes à l'étude des structures sociales de la mécanique arabe médiévale." In: Paradigmatic Elements in Scientific Thought. Rabat, pp. 119-130. Abattouy, M. 2004. "Islāh comme un mode éditorial d'appropriation: La tradition arabe de Maqāla fī 'l-mīzān un traité sur la théorie du levier attribué à Euclide." Review of the Faculty of Letters and Humanities in Fez (Fez), vol. 13, pp. 153-193. Abattouy, M. 2004. "Min 'ilm al-hiyal ila 'ilm al-athqal: wilada thaniya li-'l-mikanika". Mafhum al-taqaddum fi 'l-ilm. Rabat, pp. 89-109. Abattouy, M. 2005. " Al-Qistās al-mustaqīm: la balance droite de ‘Umar al-Khayyām." Farhang. Quarterly Journal of Humanities and Cultural Studies (Tehran) vol. 18 (no. 53-54): pp.155-166. Abattouy, M. 2006. The Arabic Transformation of Mechanics: The Birth of the Science of Weights. Abattouy, M. 2007. "La tradition arabe de Maqāla fī 'l-mīzān un traité sur la théorie du levier attribué à Euclide." Ayené-ye Miras (Mirror of Heritage). Quarterly Journal of Book Review, Bibliography and Text Information (Tehran) New series vol. 5: no. 1. Abattouy, M. 2007. The Arabic Partial Version of Pseudo-Aristotle's Mechanical Problems. Abattouy, M. (editor) 2007. Etudes d'Histoire des Sciences Arabes. Textes réunis et présentés par Mohammed Abattouy. Casablanca: Publications of King Abdulaziz Foundation for the Humanities and Islamic Studies. Abattouy, M. (editor) 2007. La science dans les sociétés islamiques: approches historiques et perspectives d'avenir. Edité par Mohammed Abattouy. Casablanca: Publications of King Abdulaziz Foundation for the Humanities and Islamic Studies. Abattouy, M. 2007. L'Histoire des sciences arabes classiques: une bibliographie sélective commentée. Casablanca: Publications of King Abdulaziz Foundation for the Humanities and Islamic Studies. Abattouy, M. 2008. Bibliography on Taqi Al-Din. Aghayani Chavoshi, Jafar, & Bancel, Faïza 2000. "Omar Khayyām et l'Hydrostatique". Farhang. Quarterly Journal of Humanities and Cultural Studies (Tehran) vol. 12: pp. 33-49. [Archimedes and Philon] 2001. Archimedes and Philon in the Arabic Tradition. Texts and Studies. Collected and reprinted by F. Sezgin et al. (Natural Sciences in Islam, 37). Frankfurt: Institut für Geschichte der Arabisch-Islamischen Wissenschaften. Bauerreis, Heinrich 1914. Zur Geschichte des spezifischen Gewichtes im Altertum und Mittelalter. Erlangen: Jung & Sohne. Berggren, Lennart J. 1983. "The Correspondence of Abū Sahl al-Kūhī and Abū Ishāq al-Sābī: A Translation with Commentaries." Journal for the History of Arabic Science vol. 7: pp. 39-124. [Edition and translation of a scientific correspondence of the 10th century]. Brown, Joseph E. 1967. The 'Scientia de Ponderibus' in the Later Middle Ages. PhD dissertation. Madison: The University of Wisconsin. [Major work, still unpublished; deals in part with certain aspects of the Latin tradition of Arabic mechanics, especially that of the Liber karastonis, the Latin translation of Kitāb fī 'l-qarastūn by Thābit Ibn Qurra]. Büchner, E. 1920-21. "Die Schrift über den Karastun von Thabit b. Qurra", Sitzungsberichte der Physikalisch-Medizinischen Sozietät in Erlangen part 52-53, pp. 141-188. [Edition of the Liber Karastonis, the Latin translation by Gerard of Cremona of Kitāb fī 'l-qarastūn by Thābit Ibn Qurra, with commentaries]. Clagett, Marshall 1959. The Science of Mechanics in the Middle Ages. Madison: The University of Wisconsin Press. Curtze, Maximilian 1874. "Das angebliche Werk des Euklides über die Waage." Zeitschrift für Mathematik und Physik vol. 19: pp. 262-63. Curtze, M. 1900. "Zwei Beitrege zur Geschichte der Physik im Mittelalter. 1. Das Buch Euclids de gravi et levi. 2. Der Tractatus de fractionibus et flexionibus radiorum des Robertus Linconiensis." Bibliotheca mathematica vol. 3: pp. 51-59. Drachmann A.G. 1963. "Fragments from Archimedes in Hero's Mechanics." Centaurus vol. 8: pp. 91-146. Heinen, Anton 1983. "At the Roots of the Medieval Science of Weights. A Report on an Edition Project." The Journal of Sophia Asian Studies (Tokyo) vol. 1: pp. 44-55. Héron d'Alexandrie 1988. Les Mécaniques ou l'élévateur des corps lourds. Texte arabe de Qustā Ibn Lūqā établi et traduit par B. Carra de Vaux. Introduction de D.R. Hill. Commentaires par A.G. Drachmann. Paris: Les Belles Lettres. Reprint of the editio princeps with French translation published in the Journal Asiatique (1893, reissued in volume in Paris: Imprimerie Nationale, 1894). Heron von Alexandria 1976. Heronis Alexandrini Opera quae supersunt. 5 vols. Vol. 2: Mechanica et catoprica. Edited by L. Nix and W. Schmidt. Stuttgart: B.G. Teubner. Reprint of the first edition: Leipzig, 1899-1914. [Heronis arabus] 2001. Hero of Alexandria in the Arabic tradition. Texts and Studies. Collected and reprinted by F. Sezgin et al. (Natural Sciences in Islam, 38). Frankfurt: Institut für Geschichte der Arabisch-Islamischen Wissenschaften. Ibel, Thomas 1908. Die Wage im Altertum und Mittelalter. Erlangen: K.B. Hof und Univ. Buchdruckerei von Junge und Sohn. [In origin a doctorate dissertation, Die Waage bei den Alten, Erlangen University, 1906 (Midden-Oosten Weegwerktuigen, Programm des K. Luitpoldprogymnasiums, Forchheim); general study on the Ancient and medieval history of the balances. Reprinted in [Ibel 2001]. The Knowledge of Weights in the Islamic World. Texts and Studies. Collected and reprinted by F. Sezgin et al. 2 vols. (Natural Sciences in Islam, 45-46). Frankfurt: Institut für Geschichte der Arabisch-Islamischen Wissenschaften. Vol. 1 contains: Thomas Ibel, Die Wage im Altertum und Mittelalter (1908) et H. Bauerreiss, Zur Geschichte des spezifischen Gewichtes... (1914). Jackson, David E.P. 1970. The Arabic Version of the Mathematical Collection of Pappus Alexandrinus Book VIII. Doctorate Thesis. Cambridge: Cambridge University. Jackson, D.E.P. 1987-88. "Scholarship in Abbasid Baghdad with Special Reference to Greek Mechanics in Arabic." In: Quaderni di Studi Arabi, Atti del XIII Congresso dell'Union Européenne d'Arabisants et d'Islamisants (Venezia, 29 Settembre-4 Ottobre 1986). Venezia: Universitá degli Studi di Venezia, pp. 369-390. Jaouiche, Khalil 1974. "Le Livre du qarastūn de Thābit Ibn Qurra: Etude sur l'origine de la notion de travail et du calcul du moment statique d'une barre homogène." Archive for the History of Exact Sciences vol. 13: pp. 325-347. Jaouiche, K. 1976. Le Livre du qarastūn de Thābit Ibn Qurra. Etude sur l'origine de la notion de travail et du calcul du moment statique d'une barre homogène. Leiden: Brill. Khanikoff, N. 1860. "Analysis and Extracts of Kitāb mīzān al-hikma, an Arabic Work on the Water-balance, written by al-Khāzinī in the Twelfth Century. By the Chevalier N. Khanikoff, Russian Consul-general at Tabriz, Persia." Journal of the American Oriental Society vol. 6: pp. 1-128. Khāzinī, al-, Abu 'l-Fath Abdurahman 1359 H . Kitāb mīzān al-hikma. Hyderabad: Da'irat al-ma'arif al-'uthmaniya. Khāzinī, al-, 2001. Mīzān al-hikma by Abū 'l-Fath ‘Abdarrahmān al-Khāzinī (d. after 1121). Texts and Studies. Collected and reprinted by F. Sezgin et al. (Natural Sciences in Islam, 47). Frankfurt: Institut für Geschichte der Arabisch-Islamischen Wissenschaften. Knorr, Wilbur R. 1982. Ancient Sources of the Medieval Tradition of Mechanics: Greek, Arabic and Latin Studies of the Balance. Supplemento agli Annali dell'Istituto e Museo di Storia della Scienza (Monografia no. 6). Florence: Istituto e Museo di Storia della Scienza. Mazahéri, Ali 1960. "L'origine chinoise de la balance ‘romaine'." Annales. Economies-Sociétés-Civilisations (Paris) no. 5: pp. 51-83. Moody, Ernst and Clagett, Marshall 1952. The Medieval Science of Weights (Scientia de Ponderibus). Treatises Ascribed to Euclid, Archimedes, Thābit Ibn Qurra, Jordanus and Blasius of Parma. Madison: University of Wisconsin Press. 2nd edition 1960. Rozhanskaya, Mariam M. 1987. "On a Mathematical Problem in al-Khāzinī's Book of the Balance of Wisdom." In: From Deferent to Equant, edited by D.A. King and G. Saliba, pp. 427-436. Rozhanskaya, M.M. 1991. Abū 'l-Fath ‘Abd al-Rahmān al-Khāzinī (XIIth Century). Moscou: Nauka. [Bio-bibliographical study on al-Khāzinī; in Russian]. Rozhanskaya, M.M. 1996. "Statics". In: Encyclopaedia of the History of Arabic Science, edited by R. Rashed. London: Routledge, vol. III, pp. 614-642. Rozhanskaya, M.M. 1997. "Les méthodes infinitésimales dans la mécanique Arabe." Archives Internationales d'Histoire des Sciences vol. 47: pp. 255-270. Sauvaire, Henri 1877. "A Treatise on Weights and Measures by Eliya Archbishop of Nisibin." Journal of the Royal Asiatic Society vol. 9: pp. 291-313. Sauvaire, H. 1880. "A Treatise on Weights and Measures by Eliya Archbishop of Nisibin. Supplement." Journal of the Royal Asiatic Society vol. 12: pp. 25-110. [The two articles of Sauvaire consist in a French translation with commentaries of the treatise of weights by Ilyā al-Matrān (11th century). Reprinted in The Knowledge of Weights in the Islamic World. Texts and Studies. Collected and reprinted by F. Sezgin et al. (Frankfurt: Institut für Geschichte der Arabisch-Islamischen Wissenschaften, vol. 2, 2001)]. Steinschneider, S. 1863. "Intorno al Liber Karastonis", Annali di matematica pura ed applicata (Roma) vol. 5: pp. 54-58. Wiedemann, Eilhard 1910. "Über die Kenntnisse der Muslime auf dem Gebiet der Mechanik und Hydrostatik." Archiv für Geschichte der Naturwissenschaften vol. 2: pp. 394-398. Wiedemann, E. 1911-12. "Die Schrift über den Qarastun." Biblioteca Mathematica vol. 12: pp. 21-39. [German translation of Kitāb fī 'l-qarastūn by Thābit Ibn Qurra]. Wiedemann, E. 1913-16. "Al-Mīzān." In: Encyclopedia of Islam, First Edition. Leiden: Brill, vol. 5, pp. 530-539. Wiedemann, E. 1913-16. "Al-Karastūn." In: Encyclopedia of Islam, First Edition. Leiden: Brill, vol. 4, pp. 757-760. Woepcke, Franz 1851. "Notice sur des traductions arabes de deux ouvrages perdus d'Euclide." Journal asiatique vol. 18: pp. 217-247. [Publication of the Arabic texts of two short treatises attributed to Euclid: Maqāla fī 'l-mīzān (pp. 220-225) (with French translation: pp. 225-232) and the Division of figures (pp. 233-246)]. Wurschmidt, J. 1925. "Die Schrift des Menelaus über die Bestimmung der Zusammensetzung von Legierungen." Philologus vol. 80: pp. 377-409. Zotenberg Hermann Theodore 1879. "Traduction arabe du Traité des corps flottants d'Archimède." Journal asiatique vol. 7: pp. 509-515. Abū Sadīra, Taha al-Sayid, 1991. Al-hiraf wa 'l-sina'at fi misr al-islamiya mundhu al-fath al-'arabi hata nihayat al-'asr al-fatimi. Cairo: The Egyptian General Book Organization. Aiken, Jane Andrew 1994. "Truth in Images: From the Technical Drawings of Ibn al-Razzaz al-Jazari, Campanus of Novarra and Giovanni de Dondi to the Perspective Projection of Leon Battista Alberti." Viator: Medieval and Renaissance Studies vol. 25: pp. 325-359. Akman, Toygar 2008. An 800 Years Old Ancestor: Today's Science of Robotics and al-Jazari. Al-Hassan, Ahmad Y. 1976. Taqī al-Dīn wa-'l-handasa al mīkanīkiya al-'arabiya. Ma'a kitāb ‘Al-Turuq al-Saniya fī 'l-ālāt al-rūhāniya' min al-qarn al-sādis ‘ashar [Taqī al-Dīn and Arabic Mechanical Engineering. With the book The Sublime Methods in Pneumatic Machines from the sixteenth century]. Aleppo: Institute for the History of Arabic Science, 1976. Al-Hassan, A.Y. & Hill, D.R. 1986. Islamic Technology. An Illustrated History. Paris/Cambridge: UNESCO/ Cambridge University Press. Paperback, Cambridge University Press. French translation: Sciences et techniques en islam: une histoire illustrée. Paris: Edifra, 1991. Al-Hassan, A. Y. 1987. "Chemical Technology in Arabic Military Treatises. A Review of the Sources". In: From Deferent to Equant. Edited by D.A. King and G. Saliba. New York: New York Academy of Science, pp. 153-166. Al-Hassan, A. Y. et al. (editors) 2002. Science and Technology in Islam, vol. 4 of The Different Aspects of Islamic Culture. Paris: UNESCO. Al-Jazari and the History of the Water Clock. Part 3: Technology Transfer in the Chemical Industries. Taqi al-Din and the First Steam Turbine. The Origin of the Suction Pump.The Crank-Connecting Rod System in a Continuously Rotating Machine. Flywheel Effect for a Saqiya. Al-Hassani, S. 2001. Al-Jazari: The Mechanical Genius. Al-Hassani, Salim 2004 . The Machines of Al-Jazari and Taqi al-Din. Al-Hassani, S. and 2008. The Self Changing Fountain of Banu Musa bin Shakir. Al-Hassani, S.2008. The Astronomical Clock of Taqi Al-Din: Virtual Reconstruction. Al-Hassani, S., and Ong Pang Kiat, Colin 2008. Al-Jazari's Third Water-Raising Device: Analysis of its Mathematical and Mechanical Principles. Al-Hassani, S. and Al-Lawati, M.A. 2008. The Six-Cylinder Water Pump of Taqi al-Din: Its Mathematics, Operation and Virtual Design. Al-Hassani, S., and Abattouy, M. 2008. "La pompe hydraulique d'al-Jazarī (début du XIIIe siècle)". In: L'Islam des découvertes. Paris: Editions Le Pommier (forthcoming). Bir, Atilla 1990. Kitāb al-hiyal of Banū Mūsā bin Shākir Interpreted in the Sense of Modern System and Control Engineering. Istanbul: IRCICA. Bir, Atilla, and Kacar, Mustafa, 2006. Pioneers of Automatic Control Systems. Jaraki, al-, Abdel Aziz, 2007. When Ridhwan al-Sa'ati Anteceded Big Ben by More than Six Centuries. Banū Mūsā 1981. Kitab al-hiyal. Edited by A. Y. Al-Hassan. Aleppo: Institute for the History of Arabic Science. Bīrūnī, al-, Muhammad b. Ahmad 1983. Maqāla fī al-nisab allatī bayna al-filizāt wa al-jawāhir fī 'l-hajm. Arabic text and Russian translation by Mariam M. Rozhanskaya and Boris A. Rozenfled. Nauchnoye nasledstvo [Scientific Heritage] (Moscow) vol. 6: pp. 141-160. Bruin, Fr. 1970. Surveying and Surveying Instruments being chapters 26, 27, 29 and 30 of the Book on Finding Hidden Water by Abū Bakr Muhammad al-Karajī. Beirut. Carra de Vaux, Bernard 1901. "Note sur les mécaniques de Bedi al-Zamman al-Gazari et sur un appareil d'hydraulique attribué à Apollonius de Perge." Congrès d'Histoire de Paris, 5ème section, pp. 112-121. Reprinted in Badī' Azzamān al-Jazari, (d. after 1206). Texts and Studies. Collected and reprinted by F. Sezgin et al. Frankfurt: Institut für Geschichte der Arabisch-Islamischen Wissenschaften, 2001. Carra de Vaux 1902. "Le livre des appareils pneumatiques et des machines hydrauliques par Philon de Byzance." Mémoires de l'Académie des inscriptions et des belles letters, 1902, vol. 38. Reprinted in Le livre des appareils pneumatiques et des machines hydrauliques par Philon de Byzance. Edité d'après les versions arabes d'Oxford et de Constantinople et traduit en français par le baron Carra de Vaux. Paris: Imprimerie nationale/Klincksieck, 1902. Colin, Georges S. 1932. "La Noria marocaine et les machines hydrauliques dans le monde arabe." Hespéris tome 14: pp. 22-60. Reprinted ins: Water-lifting Devices in the Islamic World. Texts and Studies. Collected and reprinted by F. Sezgin et al. Frankfurt: Institut für Geschichte der Arabisch-Islamischen Wissenschaften, pp. 36-74. Comes, Mercè 1993-94. "Un procedimiento para determinar la hora durante la noche en la Córdoba del siglo X." Revista del Instituto Egipcio de Estudios Islámicos vol. 26: pp. 263-272. [Describes a clock similar to that of Ibn Yūnus: see Kennedy et Ukashah 1969]. Cordoba de La Llave, Ricardo 1995. "Tecnologia de las norias fluviales de tradicion islamica en la provincia de Cordoba." In: Agricultura y regadio en al-Andalus: sintesis y problemas. Almeria: Instituto de estudios almerienses. Daiber, Hans 1992-94. "Sciences and Technology versus Islam. A Controversy from Renan and Afghani to Nasr and Needham and its Historical Background." Journal for the History of Arabic Science vol. 10: pp. 119-134. Decourdemanche, Jean-Adolphe 1908. Etude métrologique et numismatique sur les misqals et les dirhams arabes. Supplement to the Revue Numismatique (Paris) 2ème fascicule, 46 pp. Delpech, Annette, Girard, François, Robine, Gérard, Roumi, Muhammad 1997. Les Norias de l'Oronte: analyse technologique d'un élément du patrimoine syrien. Damas: Institut Français de Damas. Drachmann A.G. 1948. Ktesibios, Philon and Heron. A Study in Ancient Pneumatics. (Acta historica scientiarum naturalium et medicinalium, vol. 4). Copenhagen/Amsterdam: Munksgaard/ Swets & Zeitlinger. FSTC 2008. 800 Years Later: In Memory of Al-Jazari, A Genius Mechanical Engineer. FSTC 2008. Taqī al-Dīn Ibn Ma'rūf: A Special Section. Glick, Thomas F. 1989. "Las Tecnicas hidraulicas antes y después de la conquista." In: En torno al 750 aniversario: antecedentes y consecuencias de la conquista de Valencia. Valencia: Generalitat de Valencia, vol. 1, pp. 53-71. Glick, T.F. 1995-96-97. "Irrigation and Hydraulic Technology in Islamic Spain: Methodological Considerations." Journal for the History of Arabic Science vol. 11: pp. 3-19. Glick, T.F. 1996. "Riego y tecnologia hidraulica en la España islamica: consideraciones metodologicas." In: Ciencias de la naturaleza en al-Andalus. Edited by E. Garcia Sanchez et al. Madrid/Granada: C.S.I.C./Escuela de Estudios Arabes, vol. 4: pp. 71-91. Glick, T.F. 1996. Irrigation and Hydraulic Technology: Medieval Spain and its Legacy. London: Variorum Reprints. Glick, T.F. 1997. "La Transmision de las técnicas hidraulicas y de regadio del mundo islamico al mundo hispanico." In: Al Andalus: allende el Atlantico. Granada: El Legado andalusi, pp. 222-233. Goblot, Henri 1979. Les Qanats: Une technique d'acquisition de l'eau. Paris: Mouton. Gonzalez Tascon, Ignacio 1995. "Ingenios y maquinas hidraulicas en el mundo andalusi." In: El agua en la agricultura de Al-Andalus. Barcelona: Lunwerg, pp. 151-162. Guardiola Gonzalez, Maria Dolores 1990. "Instrumental agricola en los tratados andalusies." In: Ciencias de la naturaleza en al-Andalus. Edited by E. Garcia Sanchez et al. Madrid/Granada: C.S.I.C./Escuela de Estudios Arabes, vol. 1, pp. 108-149. Guardiola G. 1992. "Utillaje de uso agricola en los tratados andalusies." In: Ciencias de la naturaleza en al-Andalus, edited by E. Garcia Sanchez et al., vol. 2, pp. 171-220. Hall, Robert A. 1970-80. "Al-Khāzinī." In: Dictionary of Scientific Biography, edited by Charles Gillispie, New York: Scribners, vol. VII, pp. 335-351. Hill, Donald R. 1974. The Book of Knowledge of Ingenious Mechanical Devices. An annotated translation of al-Jazarī's Treatise. Dordrecht: Reidel. [English translation of the major treatise of al-Jazarī]. Hill, D.R. 1976. On the Construction of Water Clocks. Kitāb Arshimīdas fī ‘amal al-binkāmāt. London: Turner & Devereaux. Hill, D.R. 1977. "The Banū Mūsā and the Book of Ingenious Devices." History of Technology vol. 2: pp. 39-76. Hill, D.R. 1978. "Technology and Mechanics (hiyal)." In: The Genius of Arab Civilization: Source of Renaissance. Edited by John Hayes. Cambridge (Mass. ): The MIT Press (reprinted 1984), pp. 203-217. Hill, D.R. 1979. The Book of Ingenious Devices. An Annotated Translation of the Treatise of Banū Mūsā. Dordrecht: Reidel. Hill, D.R. 1980. "Mathematics and Applied Science." Religion, Learning and Science in the Abbasid Period. Edited by M.J.L. Young, J.D. Latham et R.B. Serejant. Cambridge: Cambridge University Press, pp. 248-273. Hill, D.R. 1981. Arabic Water-Clocks. Aleppo: Institute for the History of Arabic Science. Hill, D.R. 1984. History of Engineering in Classical and Medieval Times. London: Croom Helm. Hill, D.R. 1985. "Al-Bīrūnī's Mechanical Calendar." Annals of Science vol. 42: pp. 139-163. Hill, D.R. 1987. "Islamic Fine Technology and its Influence on the Development of European Horology." Al-Abhath (Beyrouth: American University of Beirut) vol. 35: pp. 8-28. Hill, D.R. 1991. "Arabic Mechanical Engineering: Survey of the Historical Sources." Arabic Science and Philosophy vol. 1: pp. 167-186. D. R. Hill, "Mechanical Engineering in the Medieval Near East", Scientific American, May 1991, pp. 64-69. Hill, D.R. 1993. Islamic Science and Engineering. Edinburgh: Edinburgh University Press. Arabic translation Kuwait, 2004. Hill, D.R. 1993. "Science and Technology in Ninth-Century Baghdad." In: Science in Western and Eastern Civilization in Carolingian Times. Edited by P. L. Butzer and D. Lohrmann. Bâle: Birkhäuser Verlag, pp. 486-502. Hill, D.R. 1994. "From Philo to al-Jazarī". In: Learning, Language, and Invention. Essays Presented to Francis Maddison. Edited by D.W. Hackmann and A.J. Turne. Aldershot: Variorum, pp. 188-206. Hill, D.R. 1996. "Engineering." In: Encyclopedia of the History of Arabic Science, edited by R. Rashed. London: Routledge, vol. III, pp. 751-795. Hill, D.R. 1998. Studies in Medieval Islamic Technology: From Philo to al-Jazarī-From Alexandria to Diyār Bakr. Edited by David A. King. (Variorum Collected Studies Series). Aldershot, Eng. /Brookfield, Vt.: Ashgate. Hill, D.R. and Squatriti, P. 1998. "A History of Engineering in Classical and Medieval Times." Speculum vol. 73: pp. 11-43. Hill, Donald R., and Al-Hassan, Ahmad Y., Engineering in Arabic-Islamic Civilization: Part One. Ibn Aranbughā al-Zardkāsh 1985. Kitab al aniq fi 'l-manjaniq. Edited by Ihsan Hindi. Aleppo: Publications of the Institute for the History of Arabic Science. Ibn Aranbughā 2004. Ibn Aranbughā al-Zardkāsh (fl. 774-775/1373): Armoury Manual. Kitāb anīq fī l-manājnīq. Edited by F. Sezgin. Frankfurt: Institut für Geschichte der Arabisch-Islamischen Wissenschaften. Al-Jazari, Abu 'l-'Izz b. Isma'il 1979. Al-Jami' bayna al-'ilm wa 'l-'amal al-nafi' fi sina'at al-hiyal. Edited by A. Y. Al-Hassan et al. Aleppo: Publications of the Institute for the History of Arabic Science. Jazarī, al-, Ibn ar-Razzāz Badī' az-Zamān 2003. Al-Jāmi' bayn al-'ilm wa'l-'amal an-nāfi' fī sinā'at al-hiyal. Compendium on the Theory and Practice of the Mechanical Arts. Edited by F. Sezgin. Frankfurt: Institut für Geschichte der Arabisch-Islamischen Wissenschaften. [Jazarī, al-] 2001. Badī' Azzamān al-Jazarī (d. after 1206). Texts and Studies. Collected and reprinted by F. Sezgin et al. (Natural Sciences in Islam, 41). Frankfurt: Institut für Geschichte der Arabisch-Islamischen Wissenschaften. Kâhya, Esin & Dosay Gökdogan, Melek & Demir, Remzi Gazi & Topdemir, Hüseyin & Unat, Yavuz 2003. Cezeri, Yesterday and Today. University of Ankara, Faculty of Letters, Research of the History of Science in Turkey. Kennedy, Edward S. & Ukashah, Walid 1969. "The Chandelier Clock of Ibn Yūnis." Isis vol. 60: pp. 543-545. Kumarasvami, Ananda K. 1924. The Treatise of al-Jazarī on Automata: Leaves from a Manuscript of the ‘Kitāb fī ma'arifat al-hiyal al handasiya' in the Museum of Fine Arts (Boston and elsewhere). Boston: Museum of Fine Arts. Lorch 1981. "Al-Khāzinī's Balance-Clock and Chinese Steelyard Clepsydra." Archives Internationales d'Histoire des Sciences vol. 31: pp. 183-189. Mansour, Mohamed 2002. A Review of Early Muslim Control Engineering. Manzanares Japon, José Luis 2002. "La ingenieria civil en al-Andalus." In: La herencia arabe en la agricultura y el bienestar de Occidente. Valencia: Universidad politécnica de Valencia, pp. 349-369. Maqrīzī, al-, Ahmad Ibn ‘Alī 1800. Tractatus de legalibus Arabum ponderibus et mensuris. Olaus Gerhard Tychsen [Hrsg.] Ex codice academicae Lugduno-Batavae additis excerptis e scriptoribus Arabicis nec con variantibus lectionibus ad editam Makrizii historiam monetae Arabicae spectantibus. Rostock: Stiller. [Latin translation of the treatise of al-Maqrīzī on legal weights (al-awzān al-shar'iyya)]. McLachlan, Keith S. & Beaumont, Peter & Bonine, Michael (éditeurs) 1989. Qanāt, Karīz and Khattāra: Traditional Water Systems in the Middle East and North Africa. Wisbech, UK: Middle East and North African Studies Press. Mohebbi, Parviz 1996. Techniques et ressources en Iran du 7ème au 19ème siècle. Tehran: Institut Français de Recherche en Iran. Montmessin, Yves & Bazzana, André "Les norias fluviales de Fès: approche ethnoarchéologique d'une technique médiévale." In: Du nord au sud du Sahara: bilan et perspectives de 50 ans d'archéologie en Afrique de l'Ouest et au Maghreb. Actes du colloque tenu à Paris les 13 et 14 mai 2002. Saint-Maur-des-Fossés: Sépia, pp. 331-347. Nadarajan, Gunalan 2007. Automation and Robotics in Muslim Heritage: The Cultural Roots of al-Jazari's Mechanical Systems. Pearson, James Douglas 1984. A Bibliography of The Architecture, Arts, And Crafts of Islam by Sir K.A.C. Creswell, C.B.E. Second Supplement, Jan. 1972 to Dec. 1980 (with Omissions from Previous Years). Cairo: The American University in Cairo Press. Price, Derek J.S. 1964. "Mechanical Water Clocks of the Fourteenth Century in Fez, Morocco". In: Proceedings of the Tenth International Congress of the History of Science (Ithaca, N.Y, 1962). Paris: Hermann, pp. 599-602. Gārī, Lutfallah 1996. Idha'at zawaya jadida li-tiqniya al-'arabiya al-islamiya. Riyadh: King Fahd National Library. Gārī, L. 1995-96-97. "Al-Alat al-mikanikiya fi turathina al-'ilmi wa mawqi' Kitab Al-Risala al-qudsiya". Journal for the History of Arabic Science vol. 11: pp. 29-90. Rammāh, al-, Najm al-Din Hassan 1998. Al-furusiya wa-'l-manasib al-harbiya (al-barud wa al-niran al-harbiya wa-'l-taqtir wa-'l-niranjanat). Edited by A.Y. Al-Hassan. Aleppo: Publications of the Institute for the History of Arabic Science. Ricard P. 1924. "L'Horloge de la Médersa Bou-Anania de Fès." Bulletin de la Société de Géographie d'Alger et de l'Afrique du Nord vol. 25: pp. 248-254. Rizvi, S.S.H. 1993. "Muslim Contributions to the Science of Measurements." Islamic Thought and Scientific Creativity vol. 4: pp. 21-40. Sa'ati, al-, Fakhr al-Din Ridhwan b. Muhammad 1981. 'Ilm al-sa'at wa 'l-'amal biha. Edited by M. A. Dahman. Damascus: Maktab al-dirasat al-islamiya. Sabra, A.I. 1977. "A note on Codex Medicea-Laurenziana Or. 152." Journal for the History of Arabic Science vol. 1: pp. 276-283. Saliba, George 1985. "The Function of Mechanical Devices in Medieval Islamic Society." Science and Technology in Medieval Society, edited by Pamela Long. Annals of the New York Academy of Sciences vol. 441: pp. 141-51. Saliba, G. 1999. "Artisans and Mathematicians in Medieval Islam." Journal of the American Oriental Society vol. 119: pp. 637-645. [Review of Gülru Necipoglu 1995, The Topkapi Scroll. Geometry and Ornament in Islamic Architecture (Santa Monica CA: The Getty Center for the History of Arts and the Humanities)]. Sajanqadār Sha'rānī 2003. Al-turuq al-saniya fi 'l-alat al-ruhaniya: dirasa tahliliya li-makhtut Taqi al-Din ibn Ma'ruf. Kuwait: Dar al-athar al-islamiya. Schiøler, Thorkild 1973. Roman and Islamic Water-Lifting Wheels. Odense: Odense University Press. Schmidt, F. 1929. Geschichte der Geodätische instrumente und Verfahren im Altertum und Mittelalter. Reprinted in Frankfurt: Institut für Geschichte der Arabisch-Islamischen Wissenschaften, 1991. Sezgin, F. et al. (editors) 2001. Water-Lifting Devices in the Islamic World: Texts and Studies. Collected and reprinted. (Natural Sciences in Islam, 43). Frankfurt: Institut für Geschichte der Arabisch-Islamischen Wissenschaften. Sezgin, F. et al. (editors) 2001. General Technology. Texts and Studies. Collected and reprinted. (Natural Sciences in Islam, 39). Frankfurt: Institut für Geschichte der Arabisch-Islamischen Wissenschaften. Sezgin, F. et al. (editors) 2001. Musical Automata and the Organ. Texts and Studies. Collected and reprinted. (Natural Sciences in Islam, 42). Frankfurt: Institut für Geschichte der Arabisch-Islamischen Wissenschaften. Sezgin, F. et al. (editors) 2001. Banū Mūsā ibn Shākir (9th Century). Texts and Studies. Collected and reprinted. (Natural Sciences in Islam, 40). Frankfurt: Institut für Geschichte der Arabisch-Islamischen Wissenschaften. Shams, al-, Majid 'Abdallah 1977. Muqaddima li-'ilm al-mikanik fi al-hadhara al-'arabiya. Bagdad: Publications of the center for revivification of Arabic scientific heritage. Shawqī, Jalal 1973. Turath al-'arab fi 'l-mikanik. Beirut: 'Alam al-kutub. Shawqī, J. 1995. 'Usul al-hiyal al-handasiya fi 'l-tarjamat al-'arabiya. Kuwait: Foundation for the Advancement of Science. [Study of the Pneumatics of Philon of Byzantium (fl. ca 250 BCE), which survived only in Arabic, together with various materials on mechanics in the Islamic tradition]. Shehadeh, Kamal & Hill, Donald R. & Lorch, Richard 1994. "Construction of a Fluting Machine by Apollonius the Carpenter." ZGAIW vol. 9: pp. 326-356. [Arabic Text and English translation of a short text attributed to Apollonius (already translated in German by Wiedemann in 1905), dealing with the construction and the use of a mechanical instrument]. Stchoukine, Ivan 1934. "Un manuscrit du traité d'al-Gazarī sur les automates du XIIème siècle." Gazette des beaux-arts vol. 11: pp. 134-140. Tarsūsī, al-, Mardhī b. ‘Alī b. Mardhī 2004. Al-Tarsūsī… (12th century), Treatise on Military Technology. Tabsirat arbāb al-albāb fī kaifiyyat al-najāt fī l-hurūb. Instruction of the Valiant on Prevailing in War. Edited by F. Sezgin. Frankfurt: Institut für Geschichte der Arabisch-Islamischen Wissenschaften (Series C71). Tazi, Abdelhadi 1981-85. "L'horloge hydraulique." In: Le mémorial du Maroc. Rabat: Editions Nord, vol. 3, pp. 53-71. Tekeli, Sevim 1966. 16'inci Asirda Osmanlilar'da Saat ve Takiyüddin'in "Mekanik Saat Konstrüksüyonuna Dair En Parlak Yildizlar" Adli Eseri. ["Clocks in the Ottoman Empire in the 16th century" (text in Turkish, English and Arabic]. Doctorate dissertation, University of Ankara. Tekeli, S. 2002. "The Clocks in the Ottoman Empire in the 16th Century and Taqī al-Dīn's The Brightest Stars for the Construction of the Mechanical Clocks." Ankara: T.C. Kültür Bakanligi. Tekeli Sevim, Melek Dosay, and Yavuz Unat 2002. Cezeri, el-Câmi beyne'l-Ilm ve'l-Amel en-Nâfi fh Sinaâti'l-Hiyel. Ankara: Türk Tarih Kurumu. [Facsimile publication of a manuscript of al-Jazārī's treatise]. Vernet, Juan 1978. "Un texto arabe de la corte de Alfonso X el Sabio: un tratado de automatas." Al-Andalus vol. 43: pp. 405-421. Vernet, J. 1981. "Alfonso X. el Sabio: Mecánica y Astronomía." Commemoración del Cente¬nario de Alfonso X el Sabio. Madrid, pp. 23-32. Vernet, J. 1992. "Natural and Technical Sciences in Al-Andalus." In: The Legacy of Muslim Spain. Leiden: Brill, vol. 2, pp. 937-951. Vernet, J 1993. "Ingenieria mecanica del Islam Occidental." Investigacion y ciencia (Barcelona) no. 201: pp. 46-50. Vernet, J. & Casals, R. & Villuendas, M.V. 1982-83. "El capitulo primero del Kitāb al-asrār fī natā'ij al-afkār." Awraq no. 5-6: pp. 7-18. Wiedemann, E. 1918. "Über Schalen, die beim Aderlass verwendet werden und Waschegasse nach Gazari." Archiv für Geschichte der Medizin vol. 11: pp. 22-43. Wiedemann, E. 1984. Gesammelte Schriften zur arabisch-islamischen Wissenschafts-geschichte. 3 vols. Frankfurt: Institut für Geschichte der Arabisch-Islamischen Wissenschaften. Vol. 1: Schriften 1876-1912; vol. 2: Schriften 1912-1927; vol. 3: Schriften in Zusammenarbeit mit Fritz Hauser. [Contains the articles not included in Wiedemann 1970]. Wiedemann, Eilhard & Hauser, Fritz 1915. Uber die Uhren im Bereich der islamischen Kultur. Halle: Karras. Wulff, Hans 1966. Traditional Crafts of Persia. Their Development, Technology, and Influence on Eastern and Western Civilizations. Cambridge (Mass. ): The MIT Press. Yavuz Unat, 2003. "Two Scientists in History of Technology: Jazarī and Taqī al-Dīn." Proceedings of the Congress ‘Turkish Science and Technology'. Edited by Emre Dölen and Mustafa Kaçar. Istanbul: The Turkish Society for History of Science, pp. 75–94. [In Turkish]. * Professor of History and Philosophy of Science, Mohammed Vth University, Rabat. Senior Research Fellow, Foundation for Science, Technology and Civilisation (FSTC), Manchester, UK. Chief Editor: http://www.MuslimHeritage.com.